Having a conservatory fitted is a great enhancement for your home and is not an easy decision but is a worth while investment. We have a wide range of conservatories on offer. Force 8 have invested a lot of time to help you create the perfect conservatory. When you purchase a conservatory from us, you can be sure that the it is not too hot in the summer and not too cold in the winter. 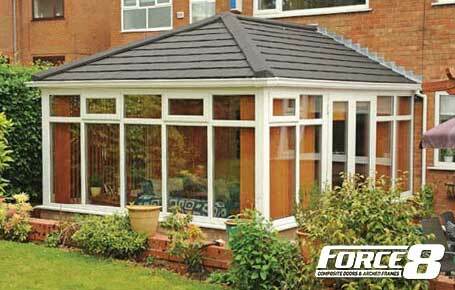 Don’t hesitate to contact Force 8 to discuss our conservatory options. Our showroom in Timperley can show you can example conservatory roof.